These classic gliders are perfect for any kid or kid at heart who loves planes! 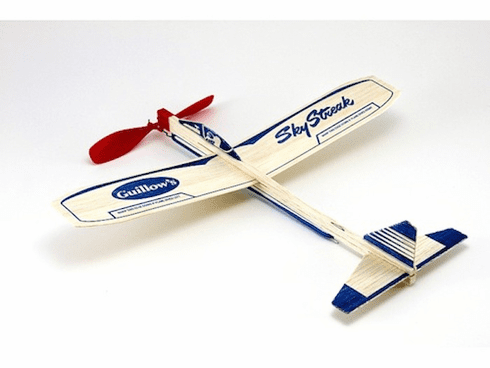 Made of balsa wood these gliders are easy to assemble and sturdy enough to withstand multiple bangs and crashes. This toy airplane has a one piece wing with a built-in dihedral. The propeller and nose bearing made of hi-impact plastic.